“Never crossed my mind until about 10 days ago when somebody said it was likely to happen,” Alderson told reporters Friday. 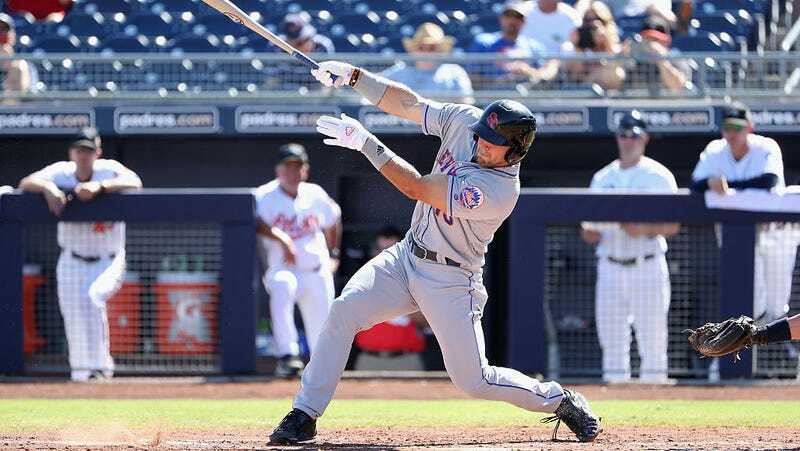 Tebow, cruising up New York’s minor league system, is hitting .321 at St. Lucie and is currently on a 12-game hitting streak. He smacked a walk-off dong Thursday night. The Mets are 40-47 and 12 games back of the Nationals in the NL East. For one thing, what the hell else to the Mets have going on? More to the point, it is Tim Tebow’s destiny to play 150 games in left field in a Mets jersey next season, as a 30-year-old rookie, and drive the masses absolutely bonkers. Who is Sandy Alderson to stand in his way?